Jacob Macznik grew up in a humble orthodox family. As a child, he studied at the heder. During World War I, the family settled in Kletz, in the Polish countryside. In 1922, Jacob left for Warsaw and studied at the School of Fine Arts. He illustrated various albums in order to earn his living. In 1928, he got married and arrived in Paris with his wife Stella. The couple lived in a hotel room and later on the second floor of the small house situated at 2 bis rue Perrel, in the 14th (On the ground floor was living Zigmund Menkes in the former atelier of the Douanier. 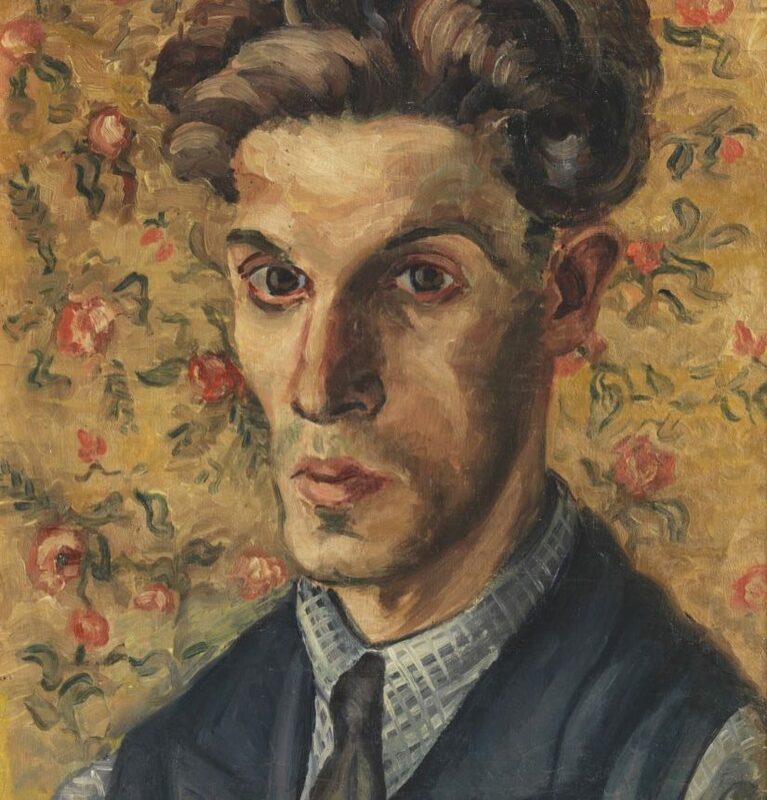 Menkes left for New York in 1935 and passed Rousseau’s atelier on to his friend Léon Weissberg, who lived and worked there until the German Occupation. At the liberation of France, Victor Brauner moved onto the desert local, nowadays destroyed.). Macznik took part in Parisian life and got in touch with Hersch Fenster. 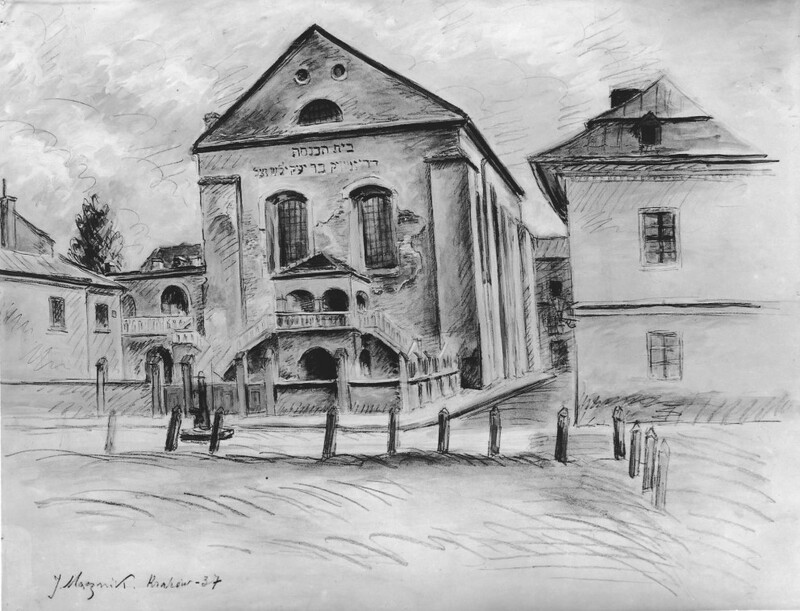 Jacob Macznik proposed that they travel to Poland to publish a book on synagogues; Fenster would write the texts while Macznik would paint the synagogues. Macznik began an inventory of the oldest synagogues in Poland (which were destroyed during the war). The two men traveled through Tarnow, Kourov, Barnev, and organized conferences in the towns they visited. They parted ways in Lodz. Macznik had no more money and returned to Paris with a dozen of paintings, although he had planned to produce over forty artworks. The album that he brought back would be prefaced by the Minister of Education Mr de Monzie. He was in a small village in the Auvergne region when the Second World War broke out. He left for Toulouse, joined the Resistance and hoped to reach London via Spain. On October 1, 1943, Jacob Macznik was interned in Drancy with his wife. On October 28, 1943, they were deported on convoy number 61. They were murdered on January 18, 1945 in the Mauthausen concentration camp. Most of his paintings were destroyed by the Nazis.